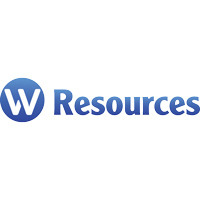 W Resources plc (LON:WRES) Chairman Michael Masterman talks to DirectorsTalk about its latest update to the market. Michael explains what has been happening at the La Parilla mine in Spain, provides some background to the admission of new shares and what investors should be looking out for in this time of ramp up. With five projects in Spain and Portugal, W Resources plc has three tungsten projects: La Parrilla in Spain, Régua and Tarouca in Portugal; the CAA/Portalegre gold/copper project and Monforte-Tinoca copper project in Portugal. La Parrilla is fully funded and development work is on track towards project completion in Q1 2019. The project is a large, low cost mine which is expected to deliver significant earnings growth in 2019. Market conditions are strong and the development is well timed to meet emerging supply shortages. In parallel Régua development is advancing, we have good results from Tarouca and the fundamentals of the copper and gold projects in Portugal look increasingly compelling with the continued strengthening of commodity prices.